1) Does proxy.sh VPN keep any logs, IP Addresses, Timestamps, Bandwidth caps, Traffic or other data? We do not log anything whatsoever. All our VPN tunnels are run from RAM. They will be fully erased/nulled if they are shut down. The only information we collect about you is your email address and your payment method’s name. We don’t even know your IP address. 2) What type of Encryption do you use? – OpenVPN-TCP: For encryption the cipher in use is CBC mode of Blowfish with encryption strength of 128bit, hash algorithm is 160bit SHA1, and the control channel is same TLSv1/SSLv3 DHE-RSA-AES256-SHA, 1024 bit RSA. Our 1024 bit RSA key is changing every hour, preventing most advanced hackers and covert teams part of governmental agencies from breaking through. We are also running beta 2048, 3072 and 4096 bit RSA as well as ECC. – OpenVPN-UDP: Same encryption and security as OpenVPN-TCP, but working via UDP protocol. This allows better speeds and bypasses more restrictions. – PPTP: For encryption PPTP uses MPPE 128bit cipher with compression and MS-CHAPv2 authentication. – L2TP: L2TP is using IPSec for encryption with 256 bit key for encryption, 3DES/AES algorithm. Our servers are located in other 30 various countries (full network can be viewed on map at https://proxy.sh/network or in listing at https://proxy.sh/status). We are operating from the Republic of Seychelles and our staff is in the cloud, mostly from Eastern Europe, Asia and Africa. 4) How do you generally handle requests from law enforcement and copyright agencies? We discard any notice that is not in compliance with the laws of Seychelles. If one of our servers around the world is suspected of anything, we simply shut it down and open in another datacenter. 5) Do you have access to all your servers, and does the datacenter you use log? Some datacenters we use particularly in Europe have indeed logging policies, but our kernel is fully encrypted with proprietary cold storage encryption method and everything is run from RAM. Hence, what they see is pretty much the same as what the outside world, ISP and governments, see. We do not own any server – we only rent and plant our encrypted nodes. Owning a server would never permit the level of security and privacy we enforce. 6) Does your service support bittorrent? We do not restrict any activity whatsoever. 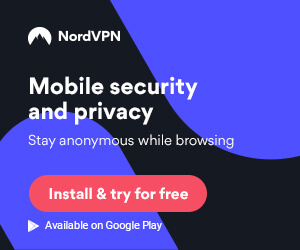 Check out the official proxy.sh VPN website here! they look kindda suspicious, due to the recent event that happend. so i don’t if i should use it or not. I see nothing wrong with this. To me it tells they have morals. Freedom of speech does not protect hate crimes. Actually yes it does. Hate Speech is a thought crime. Who dictates what hate is? Like Canada where a Vicker preeches against homosexuality and is arrested for “hate speech”. See where I’m going with this?